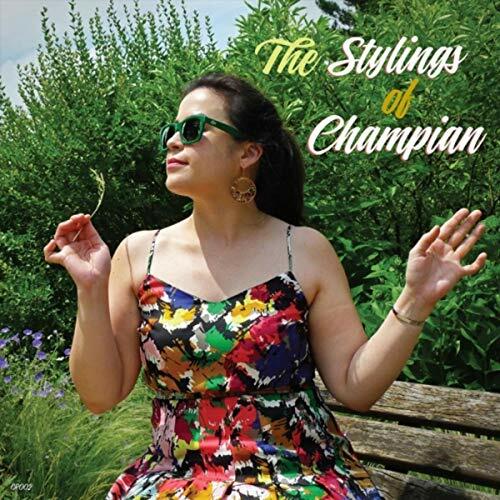 People are LOVING "The Stylings of Champian"
“Pianist/vocalist Champian Fulton may be the most charming person in the world. Even a short sip of her extensive internet presence (especially YouTube, with performances and interviews) reveals an artist who radiates the joy of creation with a luminescent personality. Her music reflects that personality, and—like the sounds of of Bud Powell and Ella Fitzgerald and Louis Armstrong—it lifts the spirit high. 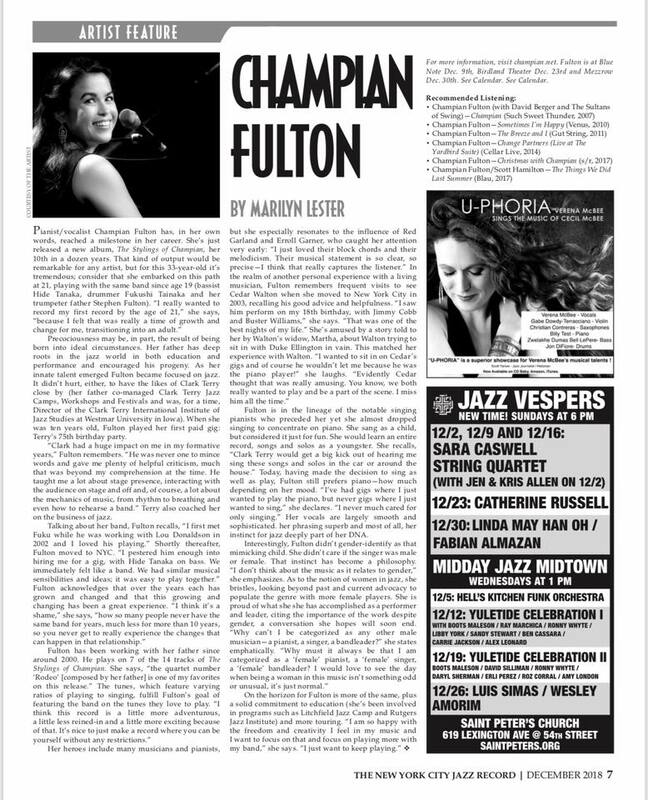 The Stylings of Champian is Fulton's tenth album—a two disc, eighty-five minute exploration of the time-tested Great American Songbook tunes and jazz standards. 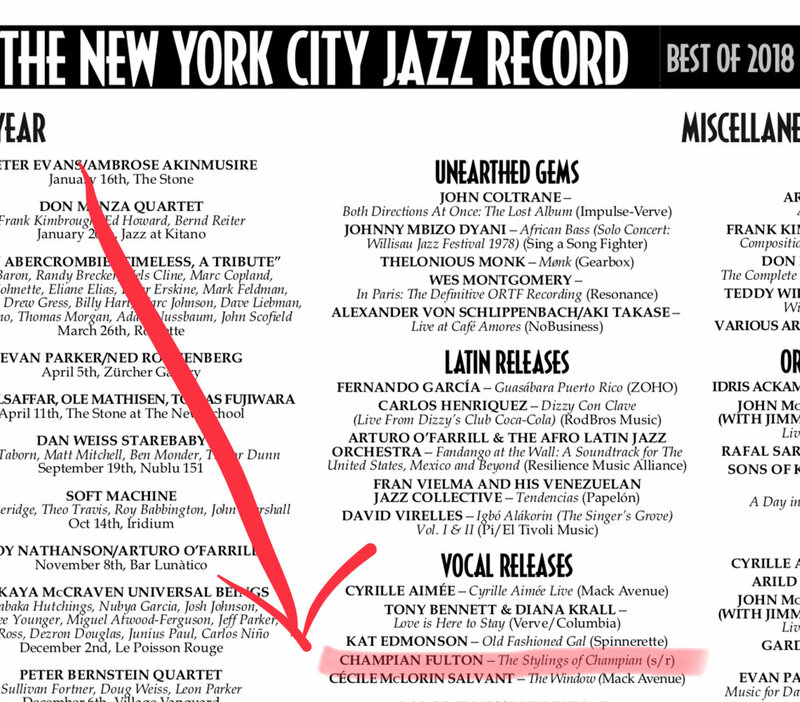 “The Stylings of Champian” was named in the Top 5 Vocal Releases of 2019 in the NYC Jazz Record alongside Cecile McLorin Salvant, Cyrille Aimee and Kat Edmonson. It’s hard not to admire an artist like Champian Fulton. Immersed in jazz through her father, jazz educator Stephen Fulton, she was already singing in public at a tender age. 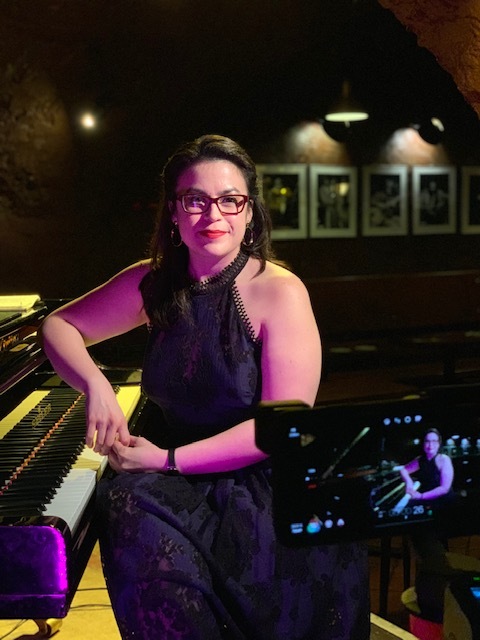 While her jazz education at SUNY Purchase was dominated by piano with the demanding Hal Galper as her instructor, she vowed to pursue both singing and playing piano. She’s a self-starter as well, as she has been a leader from day one of her career. This two-CD set is unusual: Disc One has around 55 minutes of music yet Disc Two has only 28; since it is priced like a single CD, think of it as a bonus disc. Her trio with bassist Hide Tanaka and drummer Fukushi Tainaka has been together since 2004 and her father guests on several tracks playing flugelhorn. Most of the album is devoted to familiar standards, but Fulton finds fresh ways to approach many of them. Her striking vocals float over a swinging take of Harry Warren-Al Dubin’s “I Only Have Eyes For You”, spiced by her father’s Clark Terry-flavored solo. The leader’s bop chops are prominent in the brisk setting of Jerome Kern-Oscar Hammerstein’s “All The Things You Are” while Buster Williams’ hip arrangement of Richard Rodgers-Lorenz Hart’s “I Didn’t Know What Time It Was” and a dramatic interpretation of the often recorded Johnny Green-Edward Heyman-Robert Sour- Frank Eyton standard “Body And Soul” (accompanied only by inventive bass) are ample proof of her willingness to take chances. There are some surprises as well, such as her romp through Oscar Peterson’s “Blues Etude” and soulful setting of Cedar Walton’s lesser-known “Martha’s Prize”. It’s easy to understand how she has grown a loyal fan base with outstanding efforts like this release. Precociousness may be, in part, the result of being born into ideal circumstances. Her father has deep roots in the jazz world in both education and performance and encouraged his progeny. As her innate talent emerged Fulton became focused on jazz. It didn’t hurt, either, to have the likes of Clark Terry close by (her father co-managed Clark Terry Jazz Camps, Workshops and Festivals and was, for a time, Director of the Clark Terry International Institute of Jazz Studies at Westmar University in Iowa). When she was ten years old, Fulton played her first paid gig: Terry’s 75th birthday party. Champian on stage with Clark Terry, mid 1990’s. “Clark had a huge impact on me in my formative years,” Fulton remembers. “He was never one to mince words and gave me plenty of helpful criticism, much that was beyond my comprehension at the time. He taught me a lot about stage presence, interacting with the audience on stage and off and, of course, a lot about the mechanics of music, from rhythm to breathing and even how to rehearse a band.” Terry also coached her on the business of jazz. On stage with Fuku, Hide, and Stephen. Clifford Brown Jazz Fest 2010. Fulton is in the lineage of the notable singing pianists who preceded her yet she almost dropped singing to concentrate on piano. She sang as a child, but considered it just for fun. She would learn an entire record, songs and solos as a youngster. She recalls, “Clark Terry would get a big kick out of hearing me sing these songs and solos in the car or around the house.” Today, having made the decision to sing as well as play, Fulton still prefers piano—how much depending on her mood. “I’ve had gigs where I just wanted to play the piano, but never gigs where I just wanted to sing,” she declares. “I never much cared for only singing.” Her vocals are largely smooth and sophisticated. her phrasing superb and most of all, her instinct for jazz deeply part of her DNA. For more information, visit champian.net. Fulton is at Blue Note Dec. 9th, Birdland Theater Dec. 23rd and Mezzrow Dec. 30th. See Calendar. See Calendar.